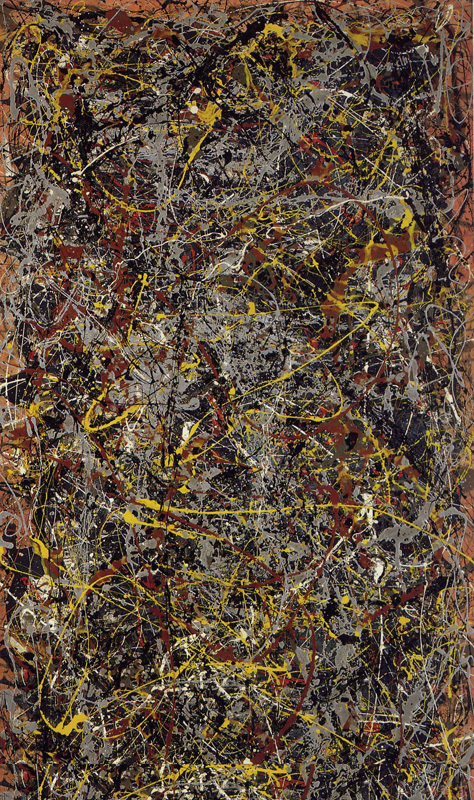 Love it or hate it, the work of Jackson Pollock revolutionized the world of art. 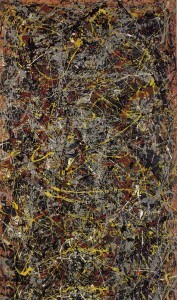 He didn’t invent total abstraction, but he pushed it further than before. He developed the idea of splattering liquid paint on a canvas on the floor, rather than using tools to apply it carefully on an easel. And he may have introduced “my child could have done that” to the vocabulary of the art critic. Under the copyright laws in effect when it was created, “No. 5, 1948" would have entered the Public Domain at the end of 2004. Of course that only means it could be copied freely; the original piece of canvas and the snakes of paint on it would still be the sole property of whoever last purchased it. This entry was posted in 1940s, Fine Art. Bookmark the permalink.